Anne Frank - Let's take a look at a person so well known for her strength and hope during the time of the Holocaust. What would it be like to be a teen during the Holocaust? What would you do if you were forced into hiding? Would you do it? 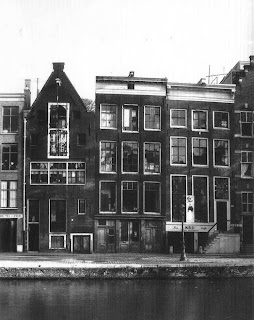 One of the most famous accounts of the Holocaust is told by a teenage Jewish girl who from1942 to 1944, with her family, hid from the Gestapo in a tiny attic in Amsterdam. Young Anne wrote regularly in her diary and, despite impending doom, continued to believe in human goodness and to express hope that one day she might live in a world without hate. On August 4, 1944, her family and friends were captured and sent to Auschwitz. 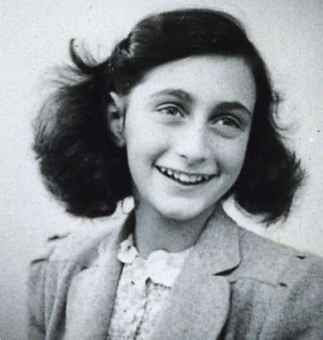 Anne died in the Bergen-Belsen concentration camp, probably of typhus, several weeks prior to the camp's liberation. The book is recommended for junior high school and high school students. It's difficult in times like these: ideals, dreams and cherished hopes rise within us, only to be crushed by grim reality. It's a wonder I haven't abandoned all my ideals, they seem so absurd and impractical. Yet I cling to them because I still believe, in spite of everything, that people are truly good at heart. It's utterly impossible for me to build my life on a foundation of chaos, suffering and death. I see the world being slowly transformed into a wilderness, I hear the approaching thunder that, one day, will destroy us too, I feel the suffering of millions. And yet, when I look up at the sky, I somehow feel that everything will change for the better, that this cruelty too shall end, that peace and tranquility will return once more. In the meantime, I must hold on to my ideals. Perhaps the day will come when I'll be able to realize them! What part of this quote grabs you attention the most? Why? What does this passage say about Anne as a person? How would you describe her writing? Watch the following Youtube hosted Powerpoint on Anne Frank. It shows a variety of photos from her life... and memorials in recognition of her. Otto Frank, Anne's Father... Learn about how he came across the diary and some background information on Anne. What can we learn about what it was like to be a teen during the Holocaust? 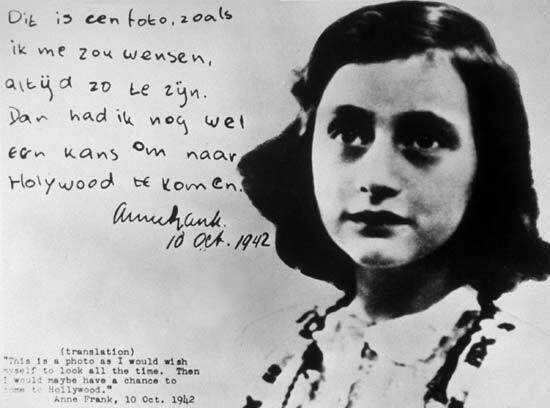 Otto Frank says that "Anne inspires young people". Why does this young lady who lived decades ago, continue to inspire us?? 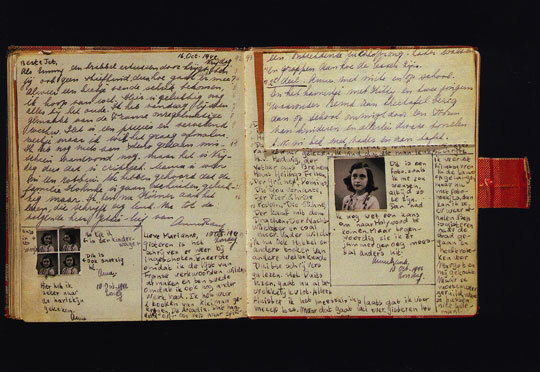 Otto Frank - He was lucky to survive... One may wonder that if you lost your family to the Holocaust, what would you do if you found a diary of your child? Would you keep the memories contained within for yourself, or would you want the world to see the life as a Jewish teen in hiding during this time? What would you do?? Some say that Otto was on a mission to devote the rest of his life to Anne's memory? Would you do the same? Why or why not?? · Click on the prompts through the house and listen to the audio as you move through the secret annex. · You can click on certain pictures to see what the rooms would have appeared like when occupied. 1. What do you feel, or what do you think, as you look at the different rooms? 2. What do the rooms tell you about the people living there? 3. What most surprised or interested you as you moved through the tour? If you’d like, you may copy and paste of images into your Response to illustrate your points. How does it feel? How are the events similar to the Jewish people of the Holocaust?? Heroes - Rescuers of the Holocaust... some images are disturbing... Be respectful of the memory of those who suffered from the Holocaust. ----In connection to our ELA unit, "Stand Up and Make a Difference". Miep Gies - Here's a special woman who like Helmuth, risked her life to help others during the Holocaust. Check out the video and learn more about this remarkable woman! You are a designer for an On-line Virtual Museum. You have been given the task to create a "Virtual Collage" in Tribute to a survivor or hero of the Holocaust. Use Glogster (or other technological software approved by Ms. S-M) as a medium to showcase your Tribute. Include information about your survivor/hero summarized in your words, images, music, videos (embedded) to enhance the presentation for your on-line audience. You must include information such as: a picture of your survivor, birth date/death, birth place, family information (parents and siblings), interests, hobbies or occupation and a brief time-line of the person's life. *Note: Glogster accounts will be assigned.